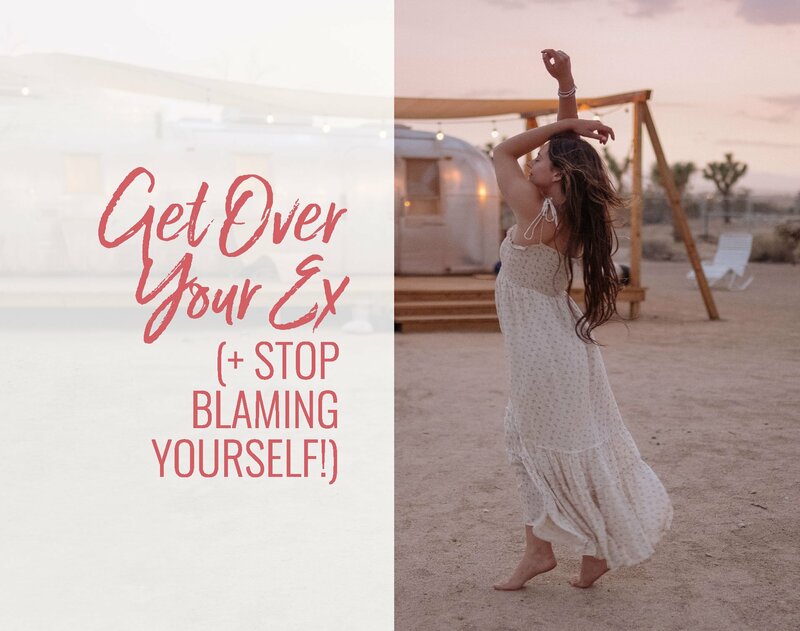 If you want to learn how to move on, why you need to move on and how to stop blaming yourself (and the other person), this week’s episode is definitely for you. What IS productive (and healing) is to be willing to get your hands dirty and take a good look at what happened in your relationship. To get curious without judgment. In every crappy situation, there is always an opportunity to find gems of wisdom, but in order to do so, you must also be willing to give up being the victim. If so, I want to invite you to download the little cheat sheet below I made you. It has questions that will help you think through and identify what your secondary gain (or gains) might be and recognizing this can make a big difference in your ability to move on with your life. The download button for your cheat sheet at the end here isn’t functioning. I am very interested to see the questions it has though! I just tried it and it worked. If you cannot get it to on your end please email Joyce at support@terricole.com and she will help you. Thanks for being here! I so needed to hear this. Thank you! Perfect timing too! I allowed the person to press the ‘reset’ button and slink back after they had disappeared for a period of time and even when they asked someone else out and it didn’t work out for them. Thanks for sharing, Susannah – you took the words to my 50% right out of my mouth. You’re definitely not alone in that! So glad the work is resonating with you, Tara! Staying stuck in regret is like carrying an anchor around everywhere you go until you choose to drop it and let it go. Thank you so much, you are indeed blessing from God, your video is spot on, clear , l feel good , to be honest , I learned the clarity of a relionship right from the beginning of watching your video. God bless you for the noble work. Spooky feeling that you must have been looking over my shoulder the night before your post. I was searching online for info about my ex fiance of more than 20 years ago, more out of morbid curiosity. I was the one who left, and no regrets leaving, but found out he had a thriving business and had gotten married. I, on the other hand, have ended up floundering in the relationship department and struggling to even make a living. Those thoughts left me with choking knot in my throat….what the hell is wrong with me? I am so determined to work on this, with your help, Terri. I am here cheering you on, Kathleen! I just don’t know how to move on when it means saying good bye to someone you love forever. When it means you have to accept that you are being abandoned and unloved and unwanted. When you know that pain may be something you never get past and may just succumb to. Nothing on either side but pain, that’s why you stay stuck. A synchro-tastic happening;) Thank you for being here with us and sharing your experience. I cheering you on to continue your healing journey and happy to be a part of your solution! thank you for making this video for us. I really resonated with most things you mention. I’ve been through a similar experience where I was blaming myself for a break-up and really ruminating about it, just wishing that it had gone the way I would have liked it to go. I felt super guilty. After months of recovery, I have started to walk the path towards self-love, only to realise what I needed most was to honor who I was in that relationship, my needs and wants. From the very first moment that I acknowledged them and started to feel responsible for them, it all changed. Taking responsibility for what’s yours, really has made a difference in my life. Thank you for being here and share your insights with us! 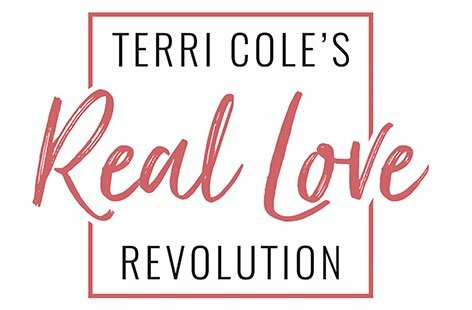 Thank you Teri so much for all the wisdom and love you share with those ready to hear it. This one hit home for me personally, I can totally relate to being afraid to open to love…..all the aspects of not having had enough self respect, self love and ineffective communication skills, especially when it came to/comes to setting boundaries. Although I am now in CODA and its helping me grow and heal after my latest narc relationship. Looking back its been one hurtful disappointment after the next, its no wonder to me why I shut down, I am tired of getting hurt. But little by little, I am learning to put myself first without guilt and speak up for what I need and want. Good for you, Jackie! Progress not perfection, right? I agree with almost all you are saying about blaming myself, doing the dance, and seeing red flags, etc. I do not agree with the cheating leaving the something to the union. My ex was a gaslighting narcissistic with issues from childhood and beyond. At one of our breakups he made believed he was going to therapy to “fix us”. I did not find out about some of this until after I left the relationship. Unless, I am that two percent. I am surprised to hear you say there is only 2% of that. Maybe, if you have time you can explain that. I agree I am working on self love, getting to know myself, and never to get in the path of someone like I was involved with. I want to dance with someone who is improving and well-adjusted. Thank you for so many of your fabulous lessons. Between my therapist, you, and one other knowledgable person have made what happened and why has clicked and clicked. I hope to help someone not get into or who is dealing with what I was in. Lynne, it’s sounds like I had a similar situation. And currently am struggling with the behaviour that continues from my ex, in the form of bullying, financial control and from my perspective lack of morals and basic human decency. I am taking responsibility for my 50%, and doing all I can, to stand up to the bullying and abusive behaviour, without talking or engaging in any form with him. However as he continues to do nothing, and ignore, the closing of our marriage in an legal form, it is incredibly hard to move on when I am held stuck from a legal perspective because of his not taking responsibility for his 50% of the closure of our relationship, including a withdrawal of needed financial support. Yet he continues with his life with the other woman and her family as though all is normal. Well then I wish he would do what he needs to end ours officially. So how does one move on through the emotionally draining, time consuming process of fighting for an ending that is being stalled by another? Hi Kirsten, thank you for sharing your experiences with us. I hear how painful it is for you. I can understand your feelings of being stuck when you have so much unresolved legal business. The best thing to do in this situation is to continue to take care of yourself, especially since you are feeling emotionally drained. How can you fill yourself back up and take care of your needs (emotionally, physically, mentally and spiritually?). Sending you so much strength.